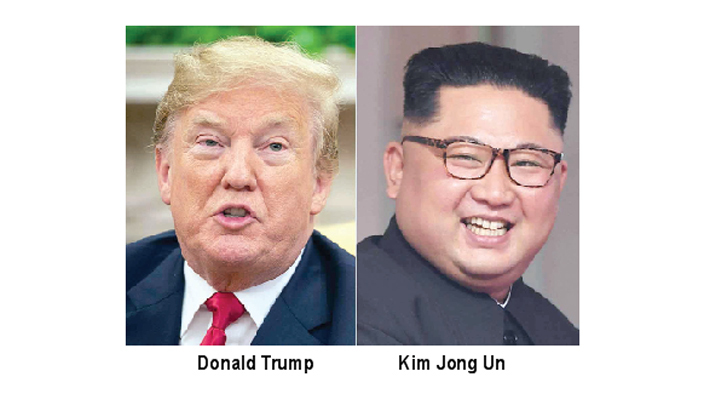 SEOUL: North Korea is facing a “significant, historic turning point”, state media said on Monday, ahead of a highly-anticipated second summit between Donald Trump and Kim Jong Un, reports AFP. The meeting between the two leaders—which will be the second time the pair have come together following their Singapore summit in June—is scheduled for Hanoi, Vietnam on February 27-28. “It is time for us to tighten our shoe strings and run fast, looking for a higher goal as we face this decisive moment,” the Rodong Sinmun newspaper said in an editorial. “Our country is facing a significant, historic turning point,” it added, without explicitly referencing the summit. Earlier this month, US President Trump tweeted that North Korea will become a “great Economic Powerhouse” under Kim. The Rodong Sinmun commentary called on North Koreans to make greater efforts to boost the country’s economy. North Korea is rising as a “strong, socialist nation,” and one’s true act of patriotism begins at one’s workplace, the commentary added. In 2017 the UN Security Council banned the North’s main exports—coal and other mineral resources, fisheries and textile products—to cut off its access to hard currency in response to Pyongyang’s pursuit of nuclear weapons and ballistic missiles.